Now that the summer of 2017 is a memory, it’s time to make sure your family is fully prepared for the upcoming season—not autumn and not winter, but flu season. That’s why Bon Secours Westchester Emergency Center is offering free flu shots this Saturday, September 30, from 9:00 a.m. to 1:00 p.m.
And while there are many misconceptions about flu shots—who should get them and potential side effects—none of these things should keep you from protecting your family this flu season. One of the most common misconceptions about a flu shot is that it can actually give you the flu. The reality is that a flu shot cannot cause a flu illness. Flu shots either have inactivated viruses, or they are made without the addition of the virus at all. As such, by far the most common side effect, if any, from a flu shot is minor swelling or soreness at the spot where the shot was given. 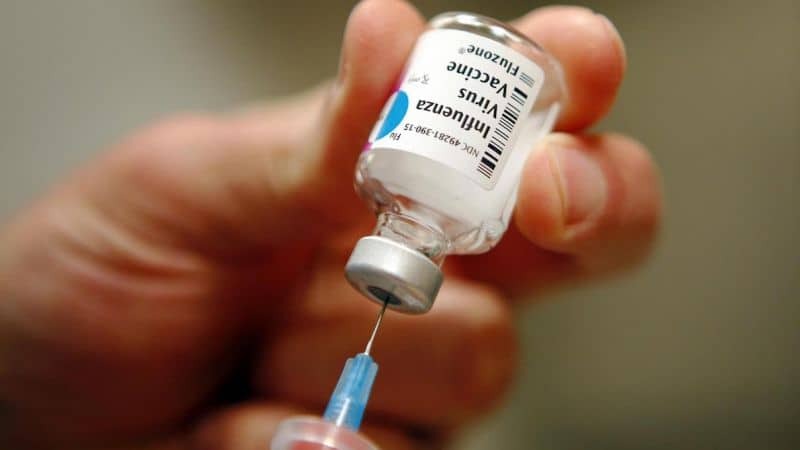 Another reason some people fail to get a flu shot is because they may think it’s better to actually get the flu than to rely on the power of a vaccine. As any doctor who has treated a severe case of influenza will confirm, this is not the case. The flu is a serious—and occasionally deadly—disease, carrying with it the risk of serious complications, even among those who are otherwise healthy. Getting a flu shot is simply a much safer choice than risking your health to the illness. According to the Centers for Disease Control and Prevention, getting the flu is more dangerous than the common cold for children—especially younger children, who can be at high risk for flu-related complications. Since 2010, the CDC estimates that there have been anywhere from 7,000 to 26,000 flu-related hospitalizations among children younger than 5 years of age, throughout the United States. The absolute best way to protect children from the flu is to get them vaccinated, every single year. But a flu shot is not just the best protection for kids—people of all ages should take this important step to reduce flu illnesses. By offering free flu shots on October 21, between 9:00 a.m. and 1:00 p.m., Westchester Emergency Center makes it easy to keep your family healthy this flu season. As a disease, flu can be very serious, and any flu infection comes with a risk of severe complications, even among children and adults who are otherwise healthy. This is partly because of just how contagious the flu is. Healthy adults may infect others even a day before they develop any symptoms themselves, and can continue spreading the virus for a full week after getting sick. In children, this range is even longer. That means the flu can be passed on to others before you’re sick, as well as while you’re sick. Everyday preventive actions can help stop the spread of the flu, starting with regularly washing your hands with soap and water. If you are sick, you should limit contact with others as much as possible to avoid spreading the infection. The CDC also recommends staying home for at least 24 hours after any flu-related fever has passed without the aid of a flu-reducing medicine. And of course, always use a tissue to cover your nose and mouth when you cough or sneeze, and dispose of the tissue properly after use. You can help keep your family healthy this flu season by visiting Westchester Emergency Center on October 21, between 9:00 a.m. and 1:00 p.m. In addition to free flu shots, there will be prizes and giveaways, as well as some fun children’s characters stopping by for a visit. Plus, your family will enjoy free hot dogs and other refreshments, provided by Midlothian Apothecary. Located at 601 Watkins Centre Parkway, near the intersection of 288 and Midlothian Turnpike (and directly across from the Westchester Commons shopping center entrance), Westchester Emergency Center can treat all your family’s emergency and urgent medical needs, including conditions beyond the scope of treatment at most urgent care centers. To get your free flu shot even faster, complete the required paperwork in advance by downloading it at bonsecours.com/richmond.